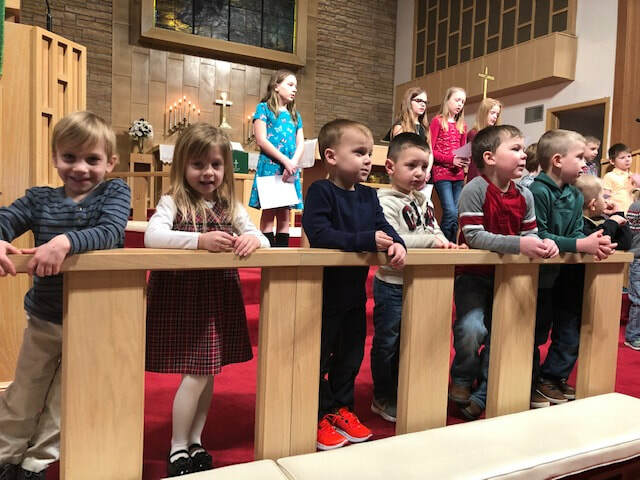 Sunday School takes place 9:00 - 9:25 am Sunday mornings for Preschool age students. An opportunity for faith formation takes place on Wednesday evenings during the school year in our Mission Possible programming. This intergenerational time begins with a meal served at 5:45 PM, and is followed by a time of worship at 6:30 PM, and breakout learning time (by ages) at 7:00 PM. Adults gather to reflect on and discuss matters of faith in daily life at this same time. Our kids in grades six through nine alongside whom we walk in their “Faith Affirmation Journey” (confirmation) participate in all the aspects of Mission Possible on Wednesday nights, and meet in their guide groups from 7:00-7:45 PM. Students affirm their faith in the midst of congregational worship during their tenth grade school year. Our women have long been blessed by participation in monthly Bible study circles and through programming of Women of the ELCA, (W-ELCA). These circle groups meet at various times of the day for the convenience of their participants.